Embattled dancehall star Vybz Kartel and his co-accused were remanded into custody when they appeared in the Supreme Court earlier today to answer murder charges. 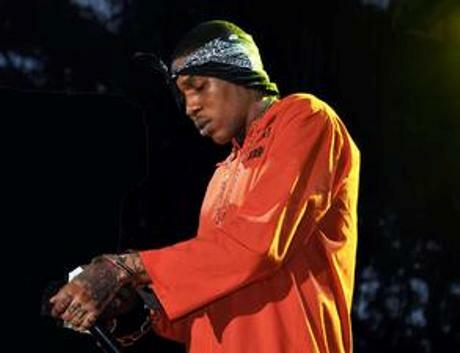 Vybz Kartel, whose real name is Adidja Palmer, is on trial for the murder of Clive “Lizard” Williams. According to police report, Williams was beaten to death on August 16, 2011 at a home in Havendale, St. Andrew, believed to be owned by Vybz Kartel. Charged along with Vybz Kartel are stylist/fashion designer Calvin Hay, recording artiste Shawn ‘Storm’ Campbell, Andre St John, Kahira Jones and Shane Williams. Detectives say they have video evidence linking Vybz Kartel and his co-accused to the murder. Prosecutors told the Judge that the transcripts of recordings were not yet served on the defense and there was still an outstanding forensic certificate. 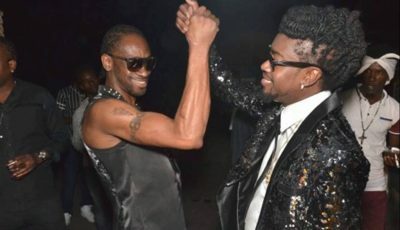 They to return to court on April 13.
world boss free fi we…gaza me say. Be a good man n live up rite as clean youth neva b doin such cruelty no man is above d law, lets pray for his realease bcuz he is special and living legend for that matter. teach u going to de fih win demma stupid n dem sey wat demma say but your always the hero gaza mi say.